CRT monitors and televisions are hazardous waste regulated by the EPA. 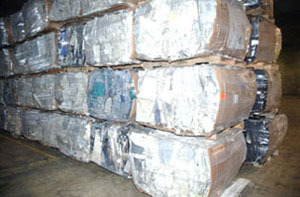 They can not be disposed of in land fills. 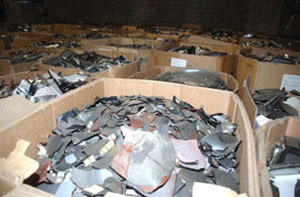 CRTs are processed following EPA and state requirements and laws. With Clean Out Your Office, there are no liability issues or need for concern that your monitors are ending up in the wrong place. The glass is recycled, the plastics are recycled, and the electronics are recycled. In fact, all glass is recycled in the USA.